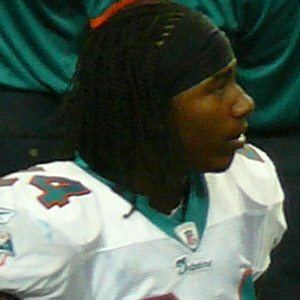 National Football League cornerback who played for Miami from 2009 to 2012 before joining the Kansas City Chiefs in 2013. He grew up in Pasadena, California, and played college football for the Utah Utes. The Miami Dolphins drafted him in the second round of the 2009 NFL Draft. He was raised mostly by his mother, Barbara Smith. He became teammates with fellow defensive back Eric Berry on the Chiefs.